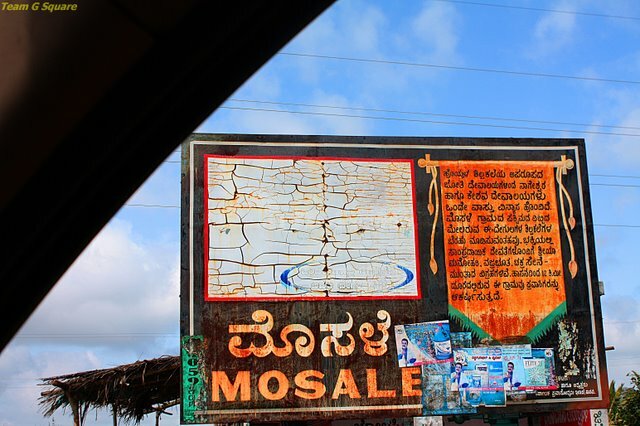 "Mosale" is a sleepy village off the Hassan-Mysore State Highway (SH 67). A huge sign board at the village entrance welcomes us to this beautiful place blessed with twin Hoysala temples. 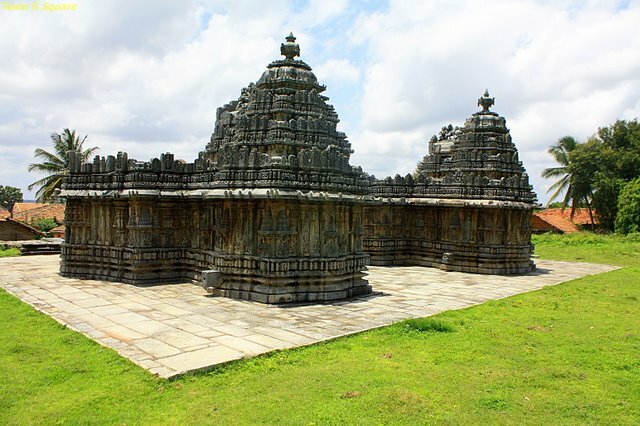 These are amongst the very few Hoysala temples that have remained intact in all aspects, giving us a chance to admire, experience and appreciate the Hoysala architectural grandeur to its best. The temples together form a unique Dwikutachala. While one of the temples is dedicated to Nageshwara (Lord Shiva), the other is dedicated to Chennakeshava (Lord Vishnu). 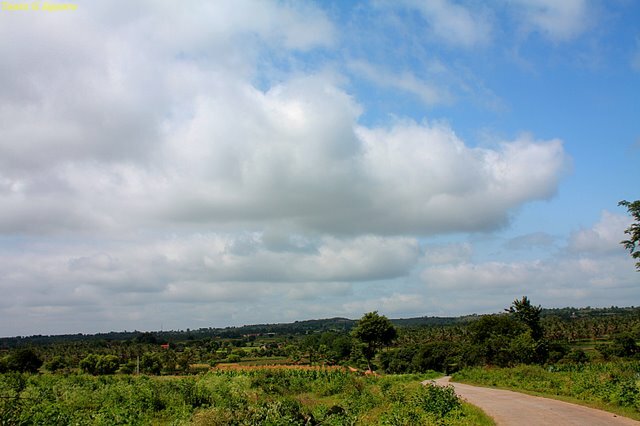 The approach road to this village is quite a magnificent sight with narrow roads snaking through lovely green fields. 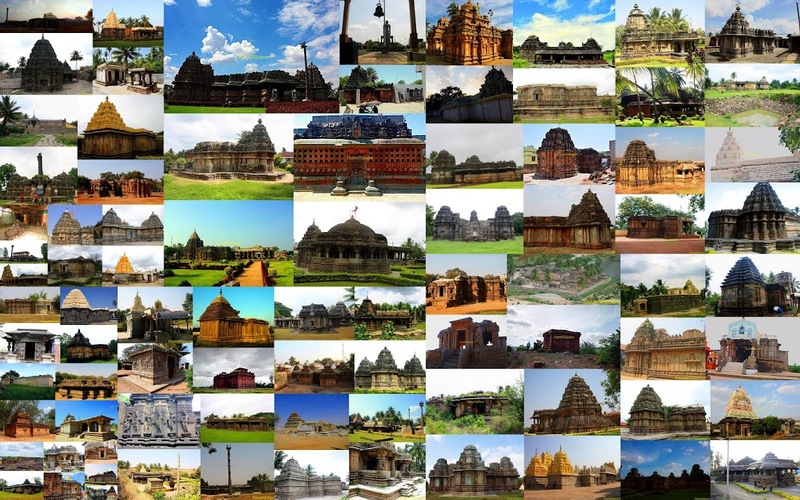 These temples are believed to have been built in the 13th Century. According to a legend, the village of Mosale was also the hermitage of Sage Jamadagni (one of the Sapta-Rishis or Seven Sages). 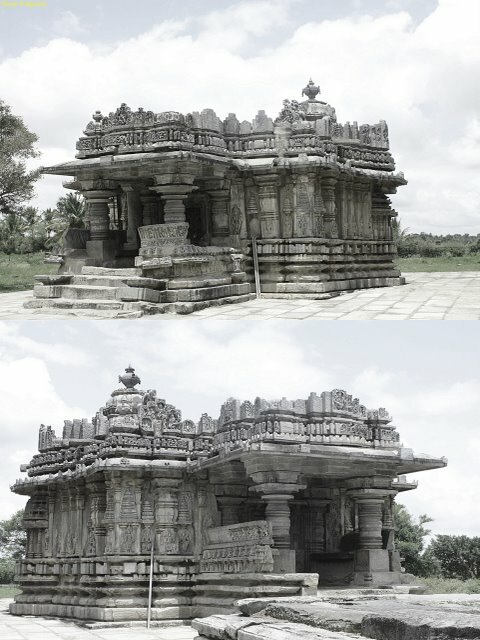 The two temples are similar in architecture and have grand exteriors and interiors. 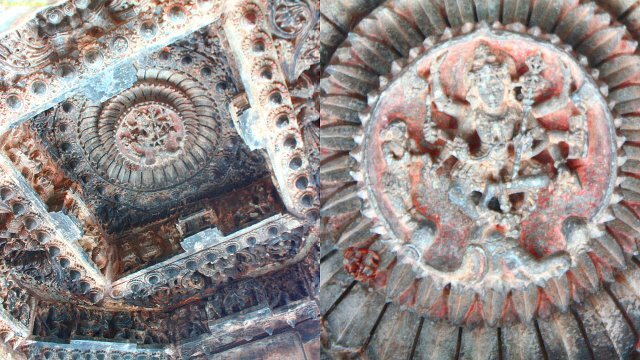 An other intriguing feature of this temple is the carving of Goddess Durga on the external ceiling of Nageshwara temple. The speciality of the carving is that, irrespective of the direction from which we view it, the goddess appears to be looking back at us. 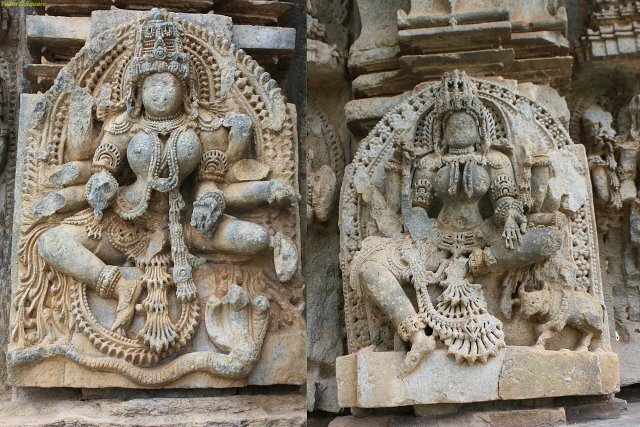 While there are numerous images of Gods and Goddesses sculpted on the outer walls of the temple, the most interesting ones are that of the Goddesses with their respective Vahanas ( or Vehicles) of Snake (presumed to be Kamakya or Manasa ) and Pig (presumed to be Gauri). While these forms of Goddess Durga are predominant in North East India, they are rarely witnessed in the South Indian temples. 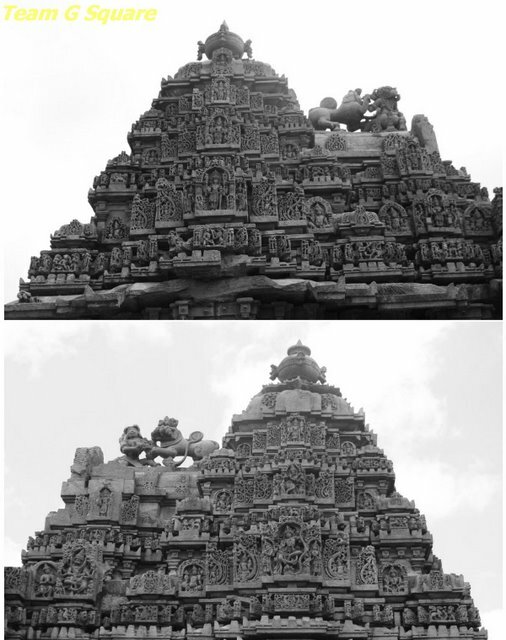 The Shikaras of both temples are extremely beautiful with the Hoysala Emblem and the Shikara Phalaka carvings intact. Such a breathtaking place! Your temples are so very different from anything we have here in the states and to be able to see them with the detail your provide is totally awesome! The last four/five captures are incredible. Thanks as always for sharing your beautiful and fascinating country with us. Wonderful! Exquisite detailing and excellent architecture. You captured the essence of the place so beautifully. Thanks for sharing. The temples are magnificent and so wonderful to see, thanks for sharing a little glimpse into your wonderful Country. Amazing astonishing & breath taking architecture ! Beautiful place. And as usual lovely hoysala architecture. Wow! What a name? M-O-S-A-L-E!! Beautiful architecture!! 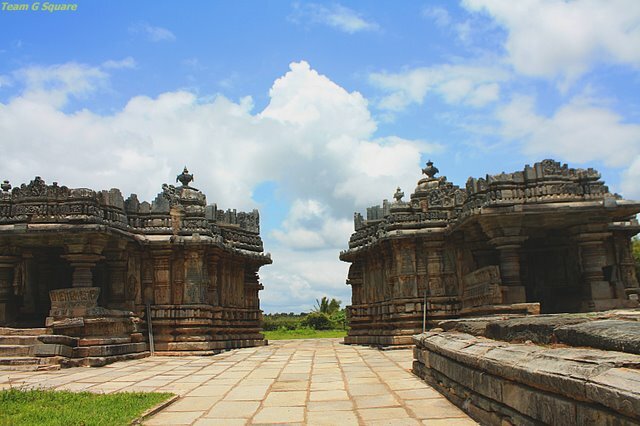 Not sure why, but I found the temples in Halebidu and Belur more enticing. Maybe, I will have a reversal of opinion after a visit. Good photos. Information on goddess and their vehicles was something new. Good observation. Did not know about these facts. Thanks for the information. Beautiful and I wish someone can restore the work which is marvelous. You have taken beautiful pictures-the scenes & the sculptures-both are awesome. wow! 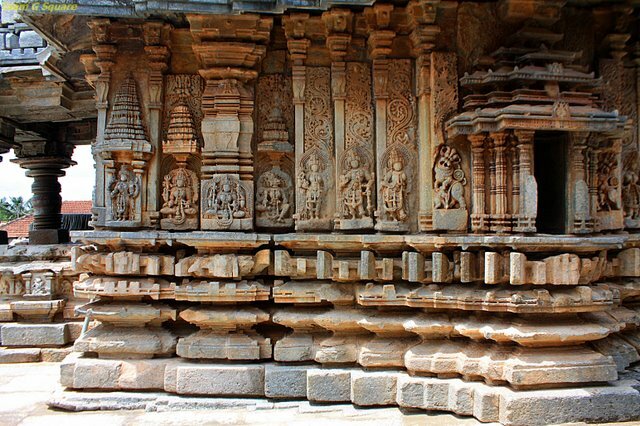 beautiful.. we are so rich in craftsmanship and these temples are lesser known. Glad someone like you is bringing hem forth. wow this is gorgeous. Thanks loved it. Absolute nectar in stone indeed! Great post, lovely pictures! 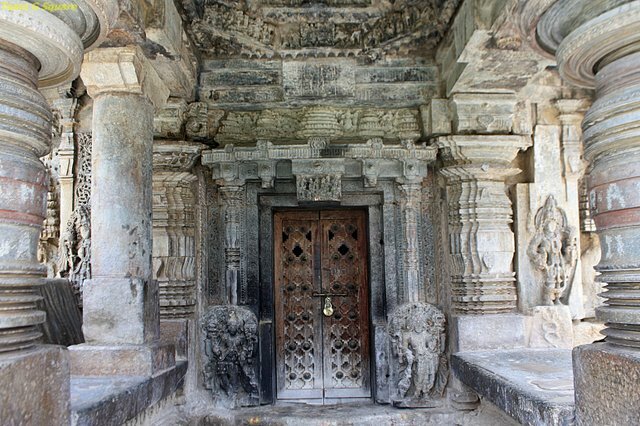 Loved the carvings on stone .Each of ceiling work is unique and beautiful.So that I don't miss your lovely posts ,you are on my sidebar now. Superb pics!! 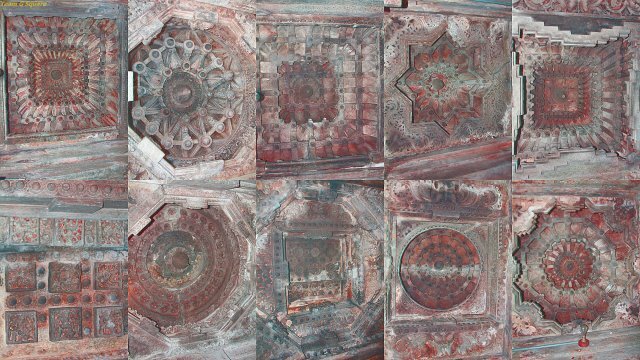 Architectural marvels like these are the proof of how advanced India was in science and arts. Nice Captures! The shikara's are so similar to the one at Balligavi Right? Stunning architecture! The ceilings are fantastic, great mosaic. Thanks a lot for this info.. Dint get these details in any books.. Got some info for my exam..
temple timings please. any contact number of the priest or caretaker or guard? The temple priests for both temples can be contacted with the help of locals as they reside in the same village. No particular timings as such. The best time though to visit these will be early mornings. these twin temples are so exquisite!! !